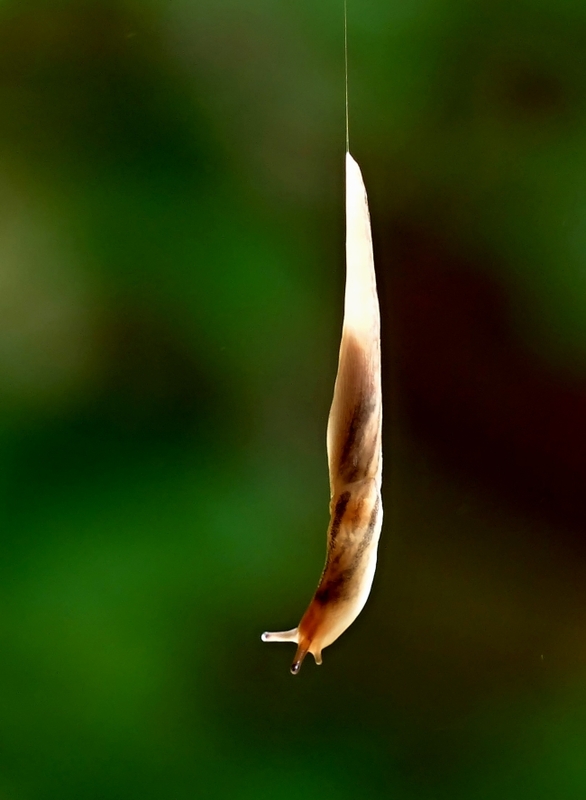 amazing - i didn't know a slug's mucus would be so strong as to support its weight! Very nice shot with excellent composition and a new perspective. Nice to see you enjoying, Jim.